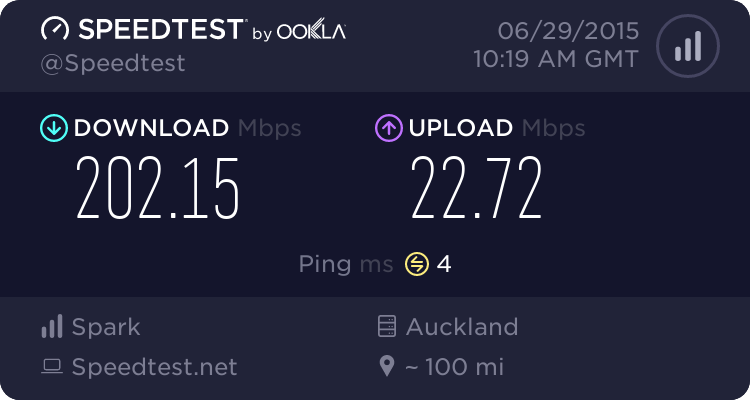 My area will have VDSL, which is the best quality ISP and bang for my $$$? How much do you want to use it? What are you planning to use it for? What street/suburb? Otherwise, Spark, Orcon, Vodafone. They're all really the same just depends on who's the cheapest at the time. Can plug you my Orcon recommendation. They're pretty onto fixing any issue you may have straight away(especially if you post here frequently). It's contract based though but the modem they supply is actually incredibly top notch. will look into big pipe though, they seem to be kinda big. Every other isp that offers a contract supply you with a modem anyway so we can leave that out. There are more VDSL modems as well that people can recommend that aren't listed here. I'm using a dual-band ASUS RT-AC68U AC1900, which is a router only, and it's bridged to my Spark-supplied modem. It's boosted my wireless VDSL speeds by 25-30%. Not cheap, at around $380, but super easy to configure. VDSL modem-wise, I'd go Asus DSL-AC68U, but it's not cheap.